Providing you the best range of ice maker with effective & timely delivery. 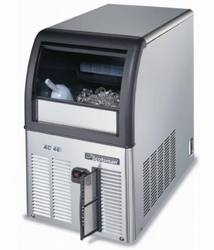 We are the leading and prominent Manufacturer, Supplier and Exporter of Scotsman AC 46 Ice Cube Maker. AC46Dimensions (mm):386(w) x 600(d) x 645(h)Max. Looking for SCOTSMAN ice cube machine ?